Priced to sell! Seller is an experienced home remodeler that specializes in offering quality remodeled homes below market value. The opportunity to make this desirable Voorhees property your new home will not last at this price! This cute Rancher offers: three nice sized bedrooms, one full bath and large eat-in kitchen. There is a detached one car garage, large fenced in yard. This home is a great starter or move down home. It has been remodeled with new floors, newer carpets, paint, countertops, and more. Conveniently located near major highways for the commuter. Excellent schools! 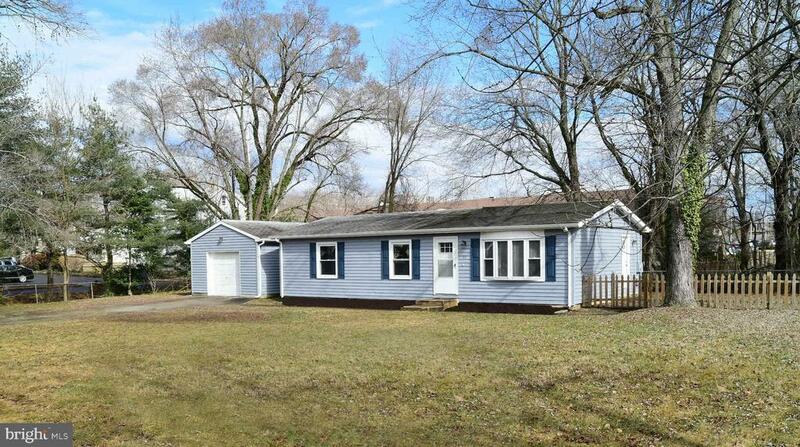 Close to Voorhees Town Center, restaurants, Philadelphia and the shore points. Walking distance to train station. If you are looking for a great house, done well, and priced right, look no further-you~re home!